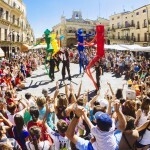 Asociacion de Artes Escénicas de Andalucía (Spain). 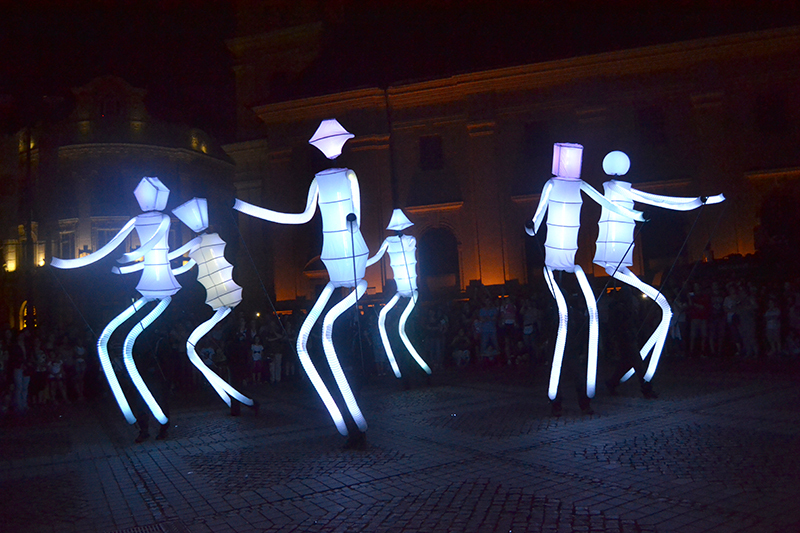 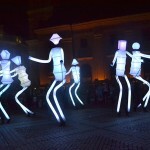 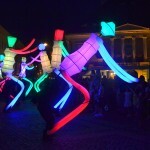 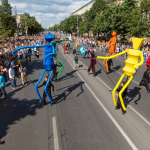 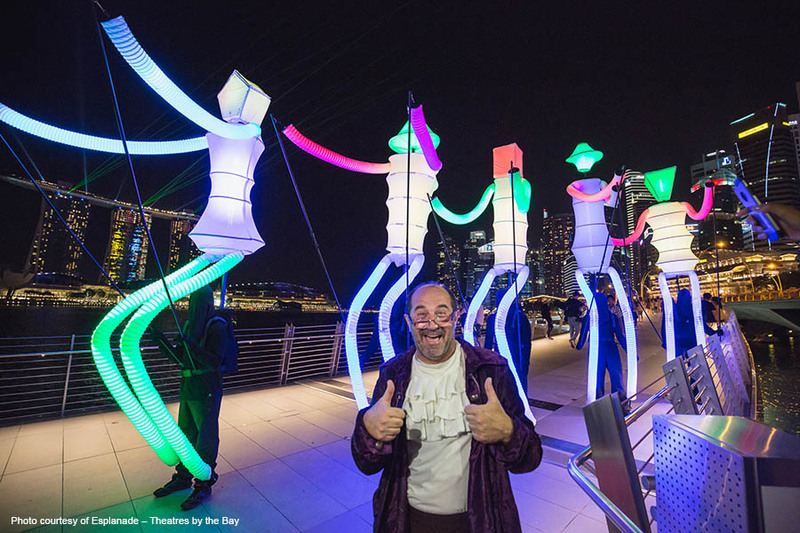 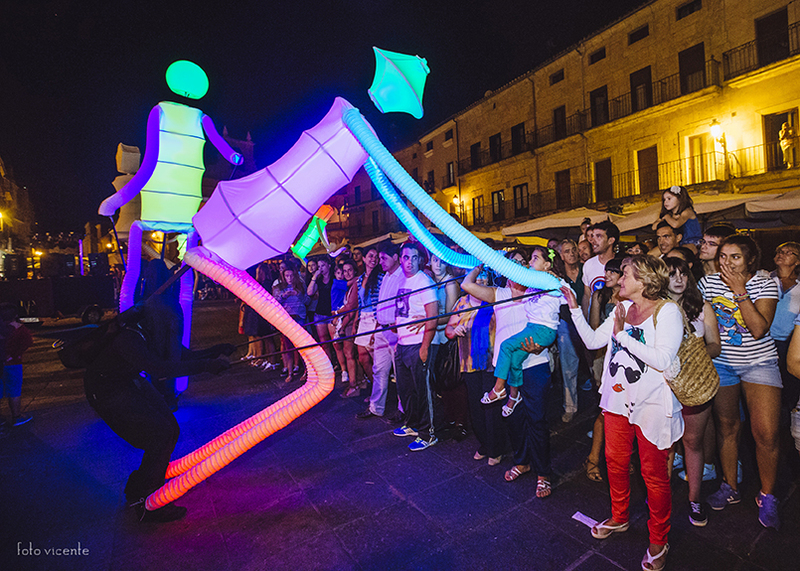 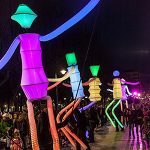 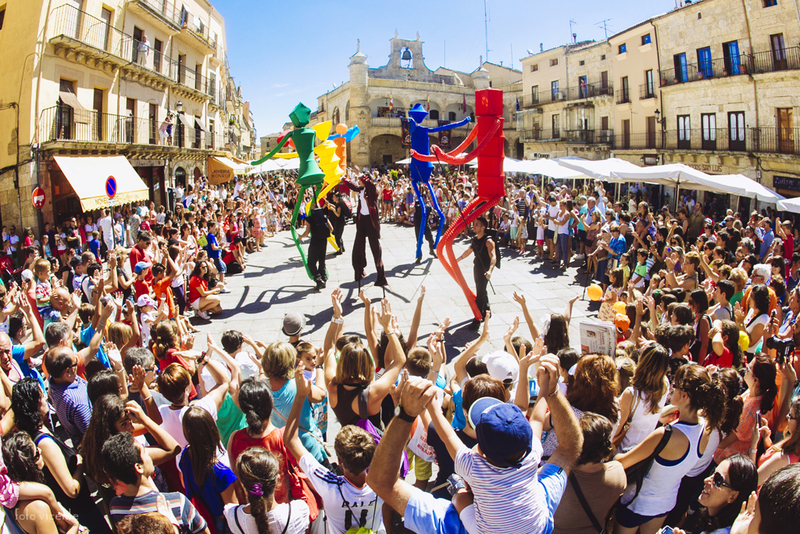 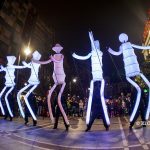 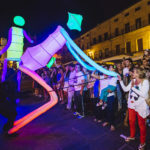 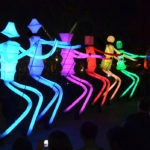 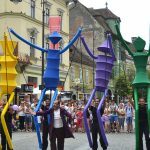 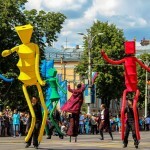 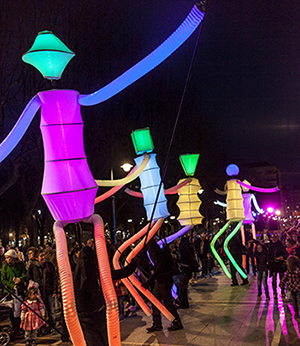 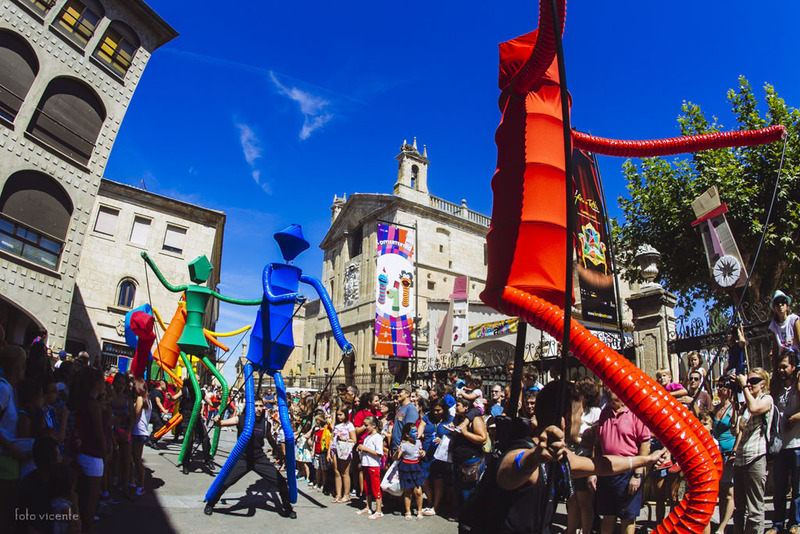 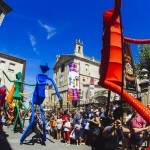 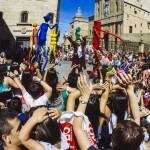 Big Dancers is a street performance featuring giant puppets (4 metres high) and synchronised music and lighting to match the choreographic movements. 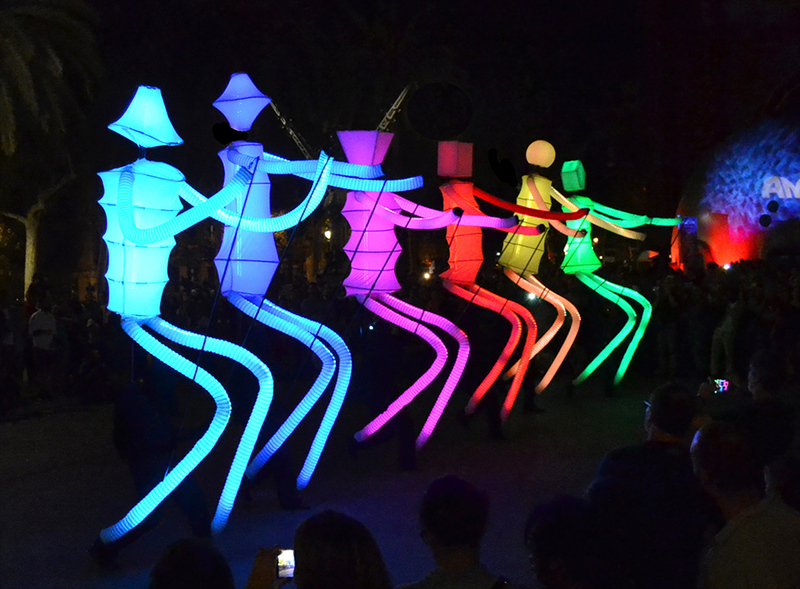 A magic environment with some human sculptures of different geometric forms with lighting creating a powerful visual impact. 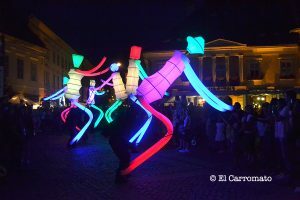 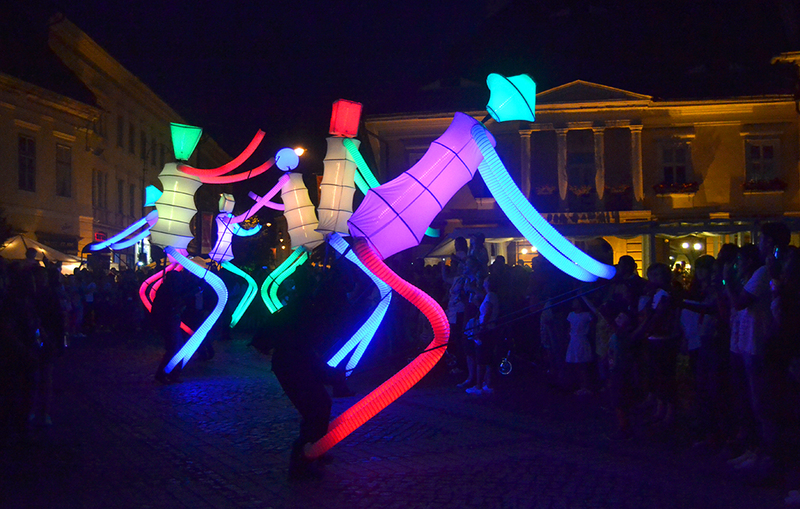 Very tall characters perform in their colorful costumes of lights with different choreographies, flooding the streets with our “electro-energetic” inviting the audience to have fun and dance. 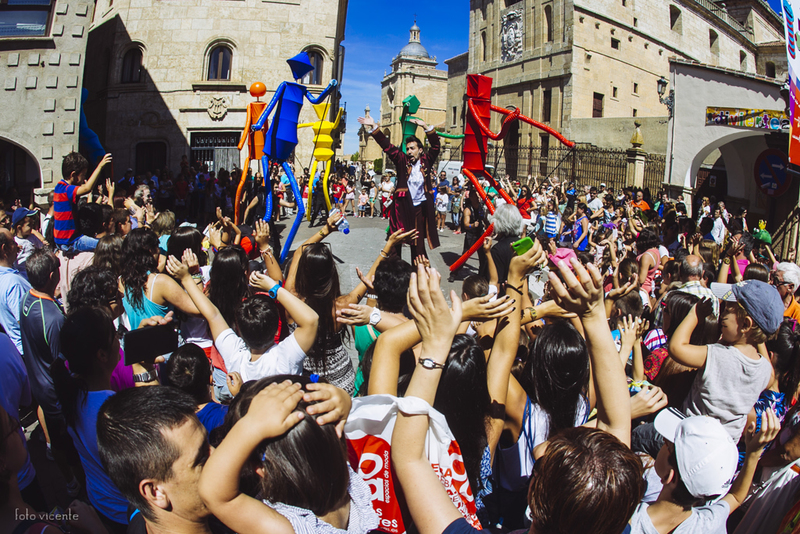 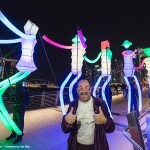 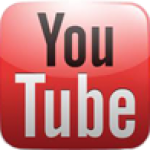 The artists will collaborate with the audience to generate an atmosphere like a street party. Enjoy the colourful puppets during the day and their lights at night time. 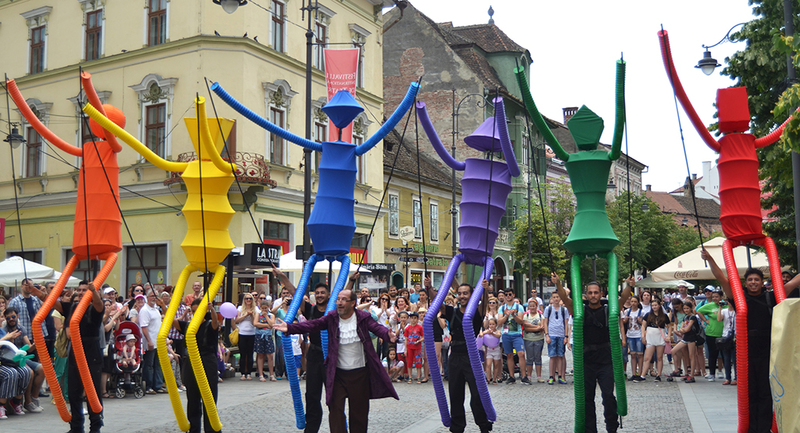 Everything is ready for the audience to dance with the greatest! 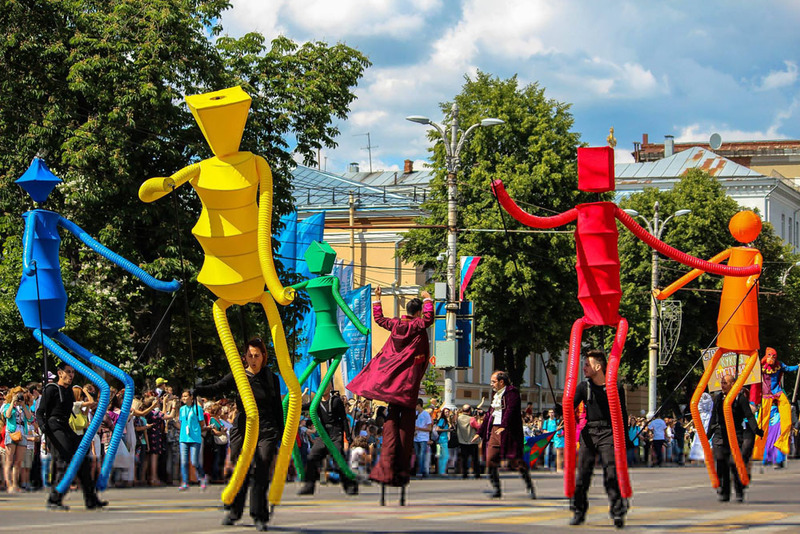 * Possible adaptations from 4 to 6 puppets. 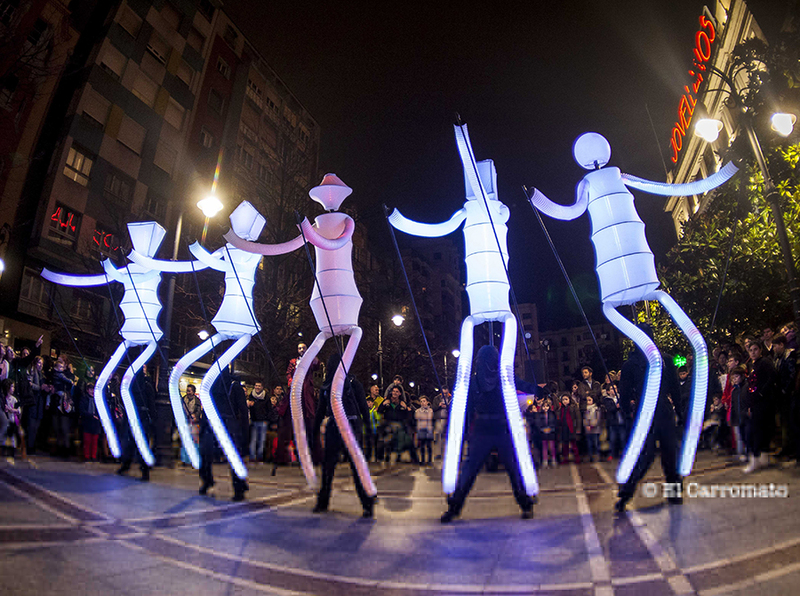 Build puppets El Carromato SL.